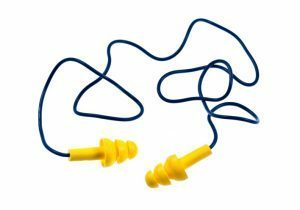 Ear plugs are a cost-friendly, easy way to protect your hearing in a loud environment. Hearing loss is something that no one wants to experience, but unfortunately, a lot of us eventually do. There are some inevitable causes related to genetics and health conditions, but noise induced hearing loss is preventable. It is a beautiful thing to be able to hear the birds chirping every morning or even what the person next to you is saying. It is something that is often taken for granted until it’s too late. You want to keep yourself healthy for as long as possible and that includes being able to hear well for as long as possible. Here are 3 things you should know about noise-induced hearing loss. Some of the more apparent causes of noise-induced hearing loss are things like loud speakers and playing sound too loud through your earbuds, but how are you supposed to know what is considered too loud? Noise is measured in decibels (dB). Anything that is less than 75-80 dB is said to be safe. To put this into perspective, this is around sixty percent volume on most listening devices. Normal conversation ranges from 50-65 dB, while things like city noise is around 80, all deemed safe. It starts to get too loud when you hear things like lawnmowers, concerts, and fireworks. There is a safe time frame for noises with higher decibels. For example, a lawnmower, which is around 85 dB, won’t impair your hearing until about eight hours of listening to it. The higher the decibel, the lower the amount of time it takes to start to damage your hearing. There are a lot of ways to ensure that you do not suffer from noise-induced hearing loss. A lot of those has to do with simply controlling the volume levels on your personal listening devices. When you’re listening to music, do not exceed sixty percent volume and don’t listen for more than sixty minutes at a time. Also, it is smart to choose over the ear headphones versus ear buds since ear buds sit a lot closer to the ear drum. If you know that you are about to go somewhere with a high noise level, consider wearing earplugs. They can reduce noise by 20-30 decibels and will still allow you to hear whatever is going on. This entry was posted on Friday, March 16th, 2018 at 1:07 pm. Both comments and pings are currently closed.